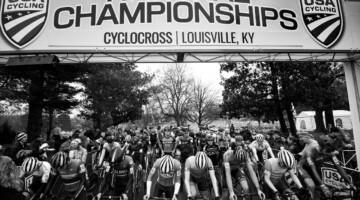 Full 2016 USA Cycling Cyclocross National Championship coverage can be found right here. 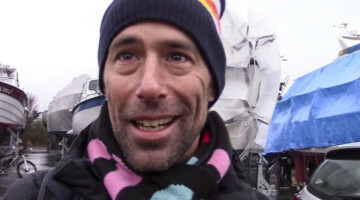 #CXNats race reports from Wed-Saturday are brought to you in part by Verge Sport. 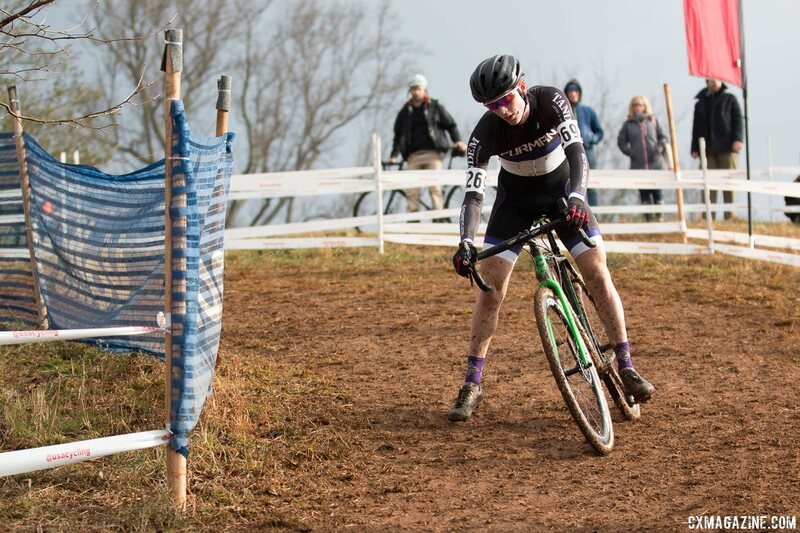 ASHEVILLE, North Carolina—As day broke it was clear that the course racers faced over the first three days of the 2016 National Championships was nowhere to be found. A light but steady overnight rain had fallen and greasy mud replaced what was primarily dirt and dust for the first race of the day, the Collegiate Men D2 event. Even as the riders stood on the grid, a very light drizzle was still falling. At the start it was Robert Rimmer (King University) that led the 43 racers up the paved start and through the first turn. But within seconds Cooper Willsey (Furman University) moved from third wheel to the front of the race. And by the time Willsey reached the first off camber section leading to the first pass through the Bike Barn, he had a solid gap over chasers Andrew Lints (Rochester Institute of Technology) and Casey Hildebrandt (University of Wisconsin-Stevens Point). But there was a long way to go after Willsey’s first lap of 8:13. Collegiate races are 50 minutes long and the anticipated 6 lap race came to be for the leaders. Despite the muddy course lap times were quick as the skies started to clear and the sun started to shine down on the riders. Going into the second lap Willsey’s lead was 17 seconds over Hildebrandt and 22 seconds over Lints. Rimmer was still near the leaders a further 8 seconds in arrears after his solid start. It appeared Willsey was on the move then, but at the end of lap two the lead was just 15 seconds and it seemed like the leaders might come back together. It was on that second lap that Willsey had his one spot of bother. Passing a lapped rider on a descent there was some commotion of sorts and Willsey had resulting bike trouble. The apparent slow down for Willsey was due to a bike change, and a clean bike and a cool head kept him at the front. From there it was all Willsey, growing a lead that went from fewer than 20 seconds to 2:29 by the finish. Behind the hard charging Willsey it was carnage, even for the other podium finishers. Hildebrandt, Rimmer and Lints all chased, but each on his own as they were strung out in Willsey’s wake. Somewhat quietly, Willsey’s teammate Brendan Rhim rode to an impressive fifth place. Willsey’s squad at Furman University is school supported, and the program had 4 other riders in the mix aside from Willsey and Rhim, with Charlie Hough and Jake Thompson both riding into the top 20 in 13th and 17th, respectively. Speaking with Willsey after the race he said his plan was to “start hard, but not blow up and create a gap so I wouldn’t have to deal with anyone’s mishaps and just build from there.” Without a doubt, Willsey’s collegiate race went to plan. He also said that he saved a little as he plans on lining up for Sunday’s U23 race. With his dominating ride today, he’s a rider to watch Sunday. 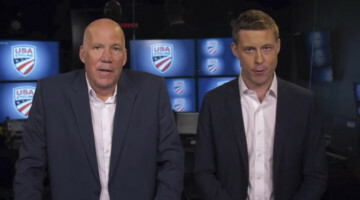 See Willsey’s interview and see the full results, below. 1 Cooper WILLSEY Furman University 52:40. 2 Casey HILDEBRANDT University of Wisconsin-Stevens 54:49. 3 Robert RIMMER King University 55:09. 4 Andrew LINTS Rochester Institute of Technolo 56:09. 5 Brendan RHIM Furman University 56:42. 6 Michael LANDRY Yale University 56:48. 7 Andrew BAILEY Milligan College 57:38. 8 Ian GIELAR Rochester Institute of Technolo 49:45. 9 Nolan TANKERSLEY Milligan College 49:50. 10 Kyle ELLIS King University 50:04. 11 Andrew GINIAT DePaul University 51:04. 12 Tristan MANDERFELD US Military Academy 51:43. 13 Charlie HOUGH Furman University 52:42. 14 Kenneth DAILEY US Military Academy 52:54. 15 Jon OKENFUSS Washington University in St Lou 52:56. 16 Grayson BROOKSHIRE Milligan College 53:32. 17 Jake THOMPSON Furman University 43:44. 18 Robert LEESON Warren Wilson College 43:44. 19 Andrew BALDWIN Milligan College 43:50. 20 Andrew KOCH University of Notre Dame 43:54. 21 Kevin WOOD University of Massachusetts - D 44:18. 22 William GUILLEN King University 44:26. 23 Andrew HALL Furman University 44:37. 24 David BERG Dartmouth College 44:46. 25 Zach HOSTETLER Baylor University 44:49. 26 Nolan GARON Wentworth Institute of Technolo 44:51. 27 Andrew ABBOTT University of Louisiana-Lafayet 44:56. 28 Samuel MORKAL WILLIAMS Warren Wilson College 45:26. 29 Connor REARDON Rochester Institute of Technolo 45:31. 30 Brian SUTO Furman University 45:39. 31 Fletcher LYDICK Milligan College 45:59. 32 Daniel FORQUER US Military Academy 34:58. 33 Anthony OTT DePaul University 34:59. 34 Kenneth ENGLERT US Military Academy 35:33. 35 Samuel WENTWORTH Milligan College 35:46. 36 Adam RUFF US Military Academy 36:12. 37 Mark ZALEWSKI DePaul University 36:31. 38 Gregory COOPER Prescott College 36:40. 39 Harris WAGNER Warren Wilson College 36:44. 40 Daniel SERRANO US Military Academy 37:11. 41 Erich MESQUITA LIMA Mars Hill University 39:10. 42 Dillon HUVAL University of Louisiana-Lafayet 26:58. 43 Ben CORK Baylor University 27:38. 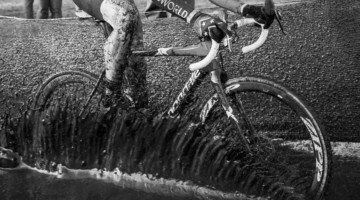 Be sure to enter Verge Sport’s Cyclocross Nationals giveaway, details here. 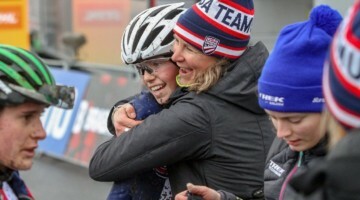 Stay up-to-date on every 2016 USA Cycling National Championship race this week and other Nationals news from Asheville, North Carolina, right here. Way to go Casey Hildebrandt!